Stop by Orvis Flagship Store at 4180 Main St, Manchester and meet award winning author and National Geographic Expeditions expert Tim Weed. He will be presenting his new book A Field Guide to Murder and Fly Fishing. 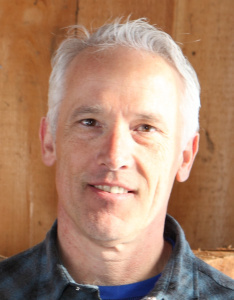 Based in Vermont, Tim is the co-founder of the Cuba Writers Program and has served as a featured expert for National Geographic Expeditions in Cuba, Spain, Portugal, Patagonia, and Tierra del Fuego. Tim is the winner of a Writer’s Digest Popular Fiction Award and a Solas Best Travel Writing Award, and his short fiction and essays have appeared in Colorado Review, Gulf Coast, Talking Points Memo, The Millions, Fiction Writers Review, Writer’s Chronicle, Backcountry, and many others. Tim’s first novel, Will Poole’s Island (2014), was named to Bank Street College of Education’s list of the Best Books of the Year, and his newly released short fiction collection, A Field Guide to Murder & Fly Fishing (2017), was shortlisted for the New Rivers Press Many Voices Project, the Autumn House Press Fiction Prize, and the Lewis-Clark Press Discovery Award. He teaches creative writing at GrubStreet in Boston and in the MFA Creative & Professional Writing program at Western Connecticut State University.